Kimberlyn McGrail is an Associate Professor in the School of Population and Public Health and the Centre for Health Services and Policy Research. She is Scientific Director of Population Data BC and Data Director for the BC Academic Health Sciences Network. 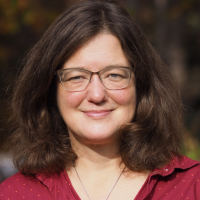 Her research interests are quantitative policy evaluation, aging and the use and cost of health services, and the ethical and technical aspects of the development and operation of large linked data systems. Her research is conducted in partnership with clinicians, policy-makers and the public. Kim is a founding member of the International Population Data Linkage Network and founding Deputy Editor of the International Journal of Population Data Science. She was the 2009-10 Commonwealth Fund Harkness Associate in Health Care Policy and Practice, a 2016 recipient of the Cortlandt JG Mackenzie Prize for Excellence in Teaching, and 2017 recipient of a UBC award for Excellence in Clinical or Applied Research.